Above: At Koustir’. 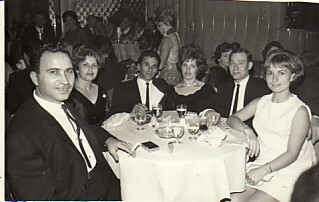 L-R: Georgios Karagiannis, holding his son, Vasilios, unknown, Irini Karagiannis, my mother, Vasiliki- who is holding me. In the front, is my father, Vasilios, with my brother, Nikolaos. 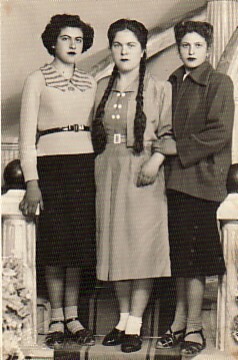 Above Right: With my mother, Vasiliki, and sister, Maria (standing). 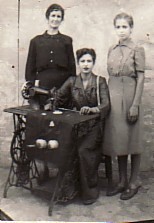 I had attended sewing classes in our village. Above: With Irini Smyrniou and Kleoniki Savva. I ma on the right. 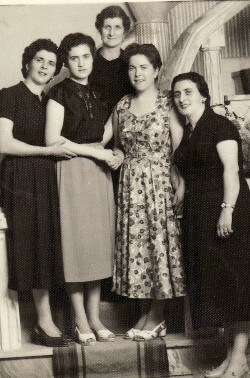 Above: My mother, Vasiliki (back), with Androniki Petinelli, Melpomeni Tsegou, Kleoniki Savva and Eleni Kourtzi. 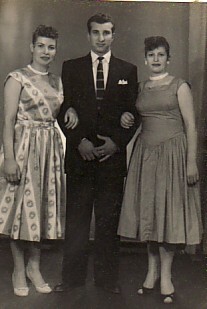 Above Right: With my siblings, Maria and Nikolaos. 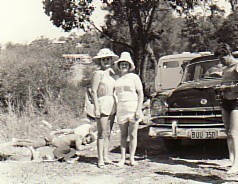 I am on the right. Above: On a picnic with Hariklia Aslani (right). 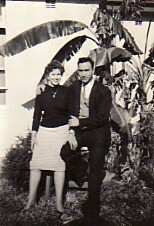 Above Right: With my husband, Dimitrios Koulioumbis. Above: Out with family and koubari. 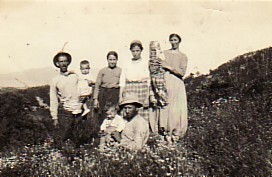 From left, we are: my husband, Dimitrios and me; my sister, Maria and her husband, Dimitrios; and our koubari, Mihail and Lydia Kyriazis.